View More In Storage File Boxes. Our long-lasting, lightweight corrugated plastic totes are fabricated in the USA at our manufacturing facility in Baldwyn, Mississippi. 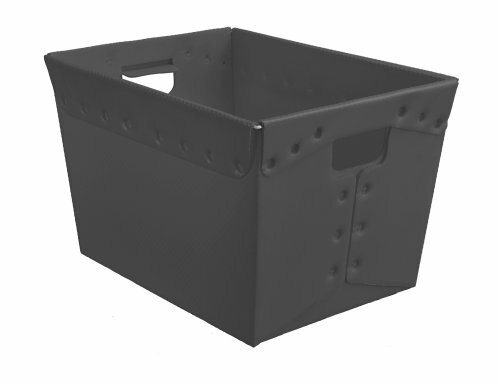 Whether you're organizing office supplies, mail, packages, paperwork, recyclables and arts and crafts, OR storing tools, gardening supplies, cleaning products, camping and fishing gear, auto parts, shoes, and winter clothes, OR just wrangling toys for your kids - dogs, cats, small children or goats - our steel-reinforced totes are sonic-welded for strength and won't collapse, making this colorful product a versatile storage solution for your home, office or classroom. If you have any questions about this product by Diversiplast, contact us by completing and submitting the form below. If you are looking for a specif part number, please include it with your message.